We ran 2, one hour races on Feb.18. 2006. This owner/builder of this car is Jim Robinson. Everything went wrong in the first race of the day, but then we came back to finish first and second in the next race. 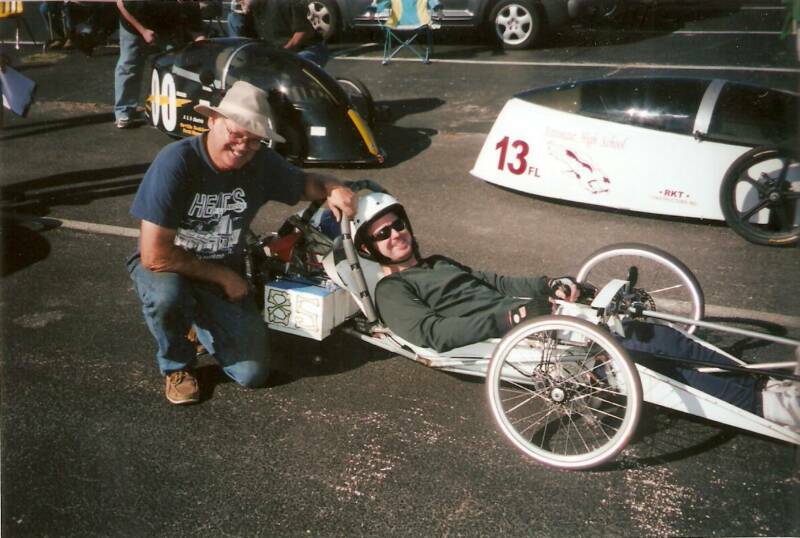 Its was Jim's first win in Electrathon. 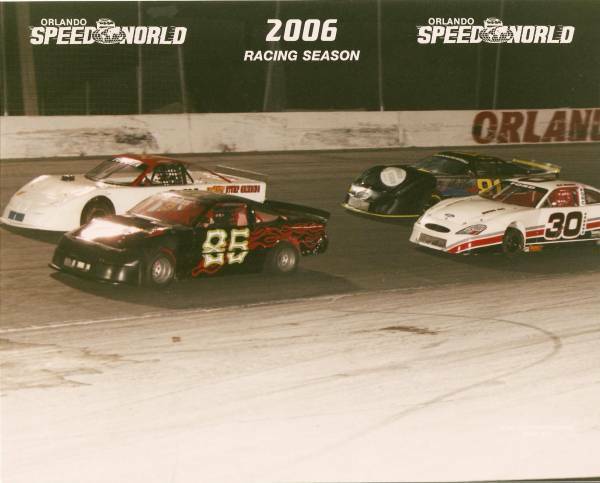 March 10, 2006 Test and Tune at Orlando in "The Missile"
March 17, 2006 I ran the season opening night at Orlando. 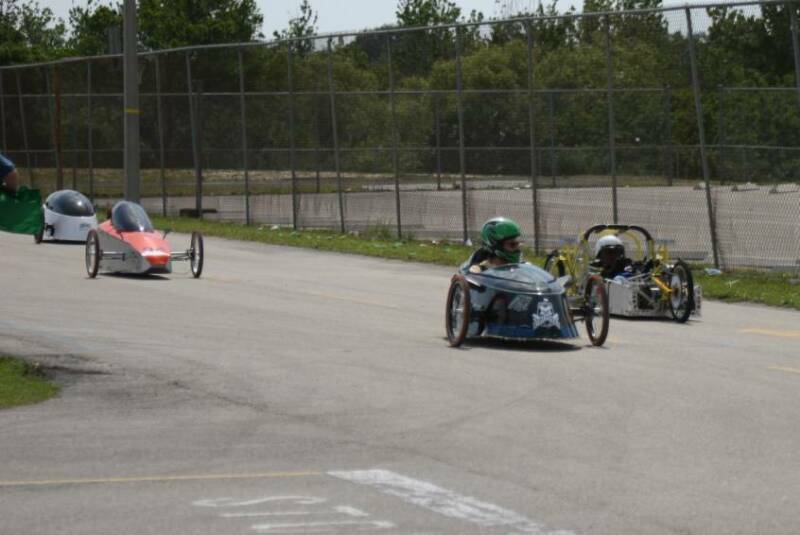 My car was pretty good in the heat race; I finished second. 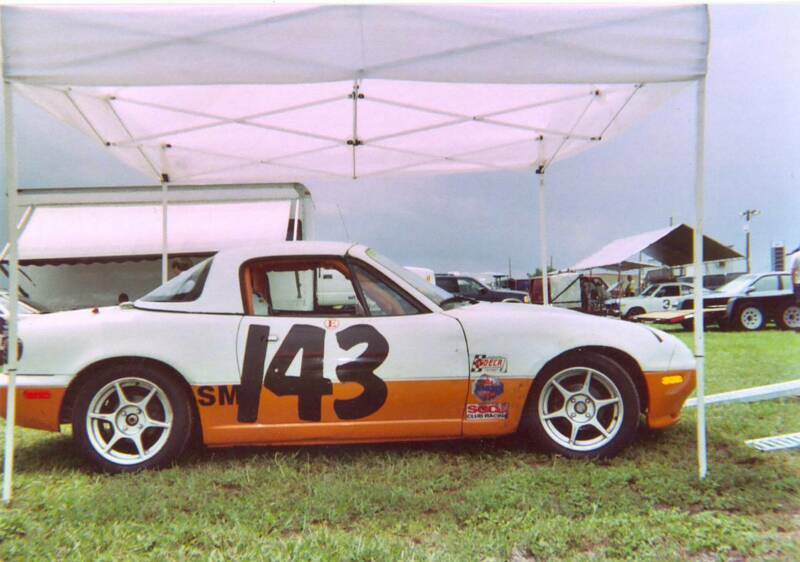 But in the feature, I ran on 3 cylinders (from a valve problem) and eventually pulled out finishing 13'th! March 24 was the the Bruce Everett Memorial race. He was a great guy! I made progress with my car tonight: I led the feature for 8 laps or so, and ended up finishing second. That is the best finish I've had for a while. 7'th and finished 3'rd. Maybe not an outstanding result, but I liked it because I ran in traffic the whole time, and made 3 open-track passes of competitive cars. I need the practice in passing after the last few years. 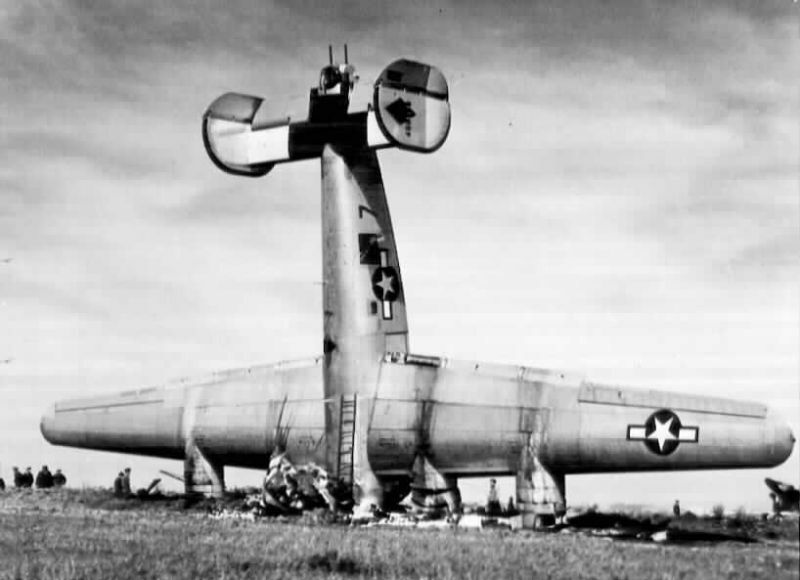 April 21, not my best night. I got to the track late and missed practice. Naturally we were running features only, so I had to hope things were right from the start. Then we had a one hour rain delay. Anyway, I passed a few cars, just not enough of them. My car was overheating and spraying water on the RF tire which didn't help. Then with 2 to go, a radiator hose blew off and I spun out. Jeez, what a night! I finished 7'th out of 10 cars. I helped put on an Electrathon race today. 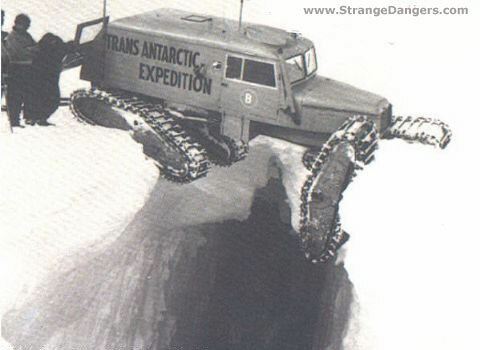 No, I didn't get to drive this one, I was an inspector and a scorer. May 5 This was odd. 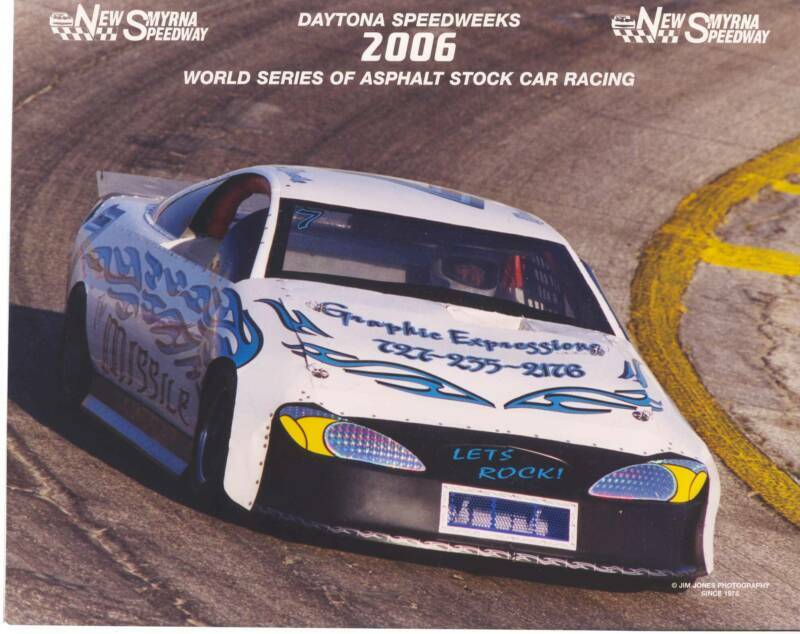 I made a last minute decision to race at Orlando Speedworld. 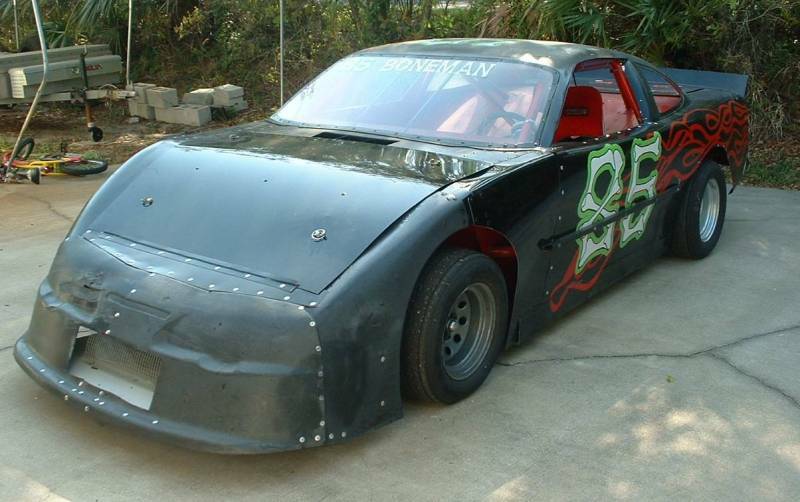 I had been too busy and did nothing to prepare my car during the week, but on Friday afternoon after work, a hustled for an hour or two and made it to the track at 7:30. I almost never race like this! Anyway, it worked out, I started 9'th and finished 3'rd. Grrr... Lets not discuss May 19. I thought I had serious motor trouble, so I pulled out very early and finished 9'th. 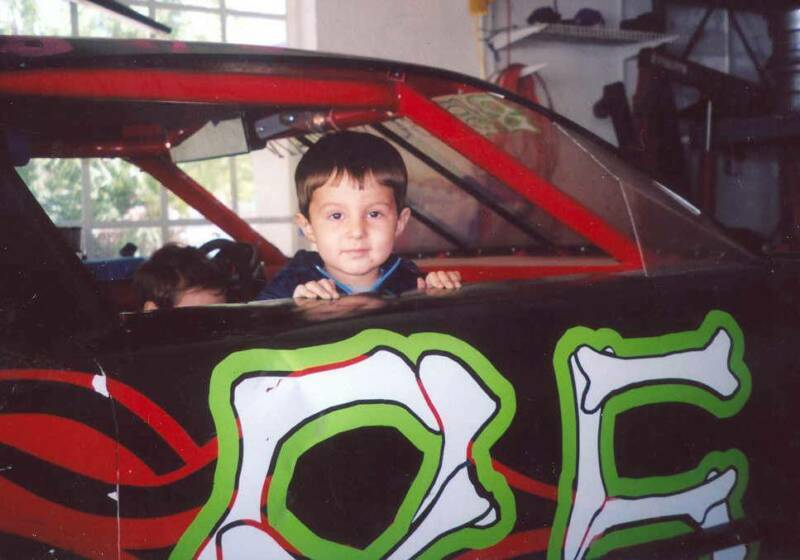 I was ready to go, but the races rained out at Orlando on May26. 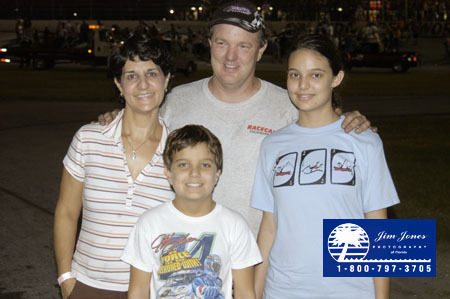 At the last minute, I took the car to New Smyrna Speedway on June 3. I drove the heat race, but turned the car over to my buddy Tom Rose who is running for points at NSS. His motor is apart, so he drove my car to an easy 6'th place finish. This was a little different! 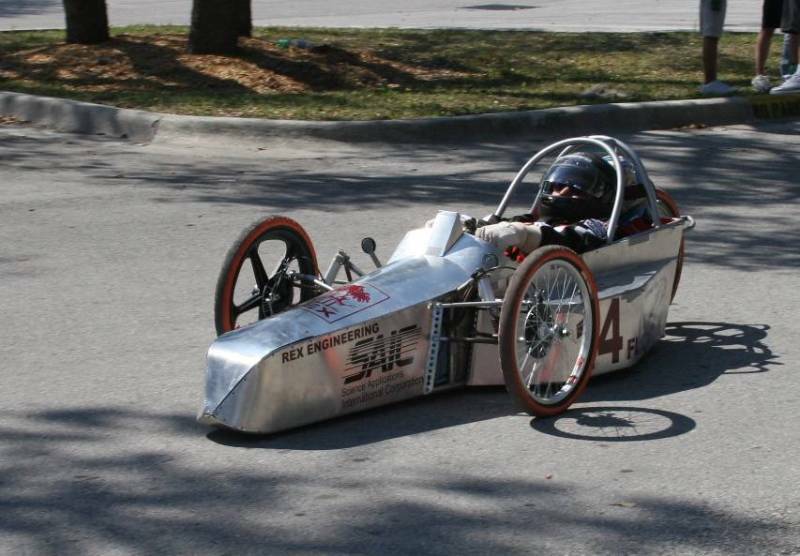 On June 10'th and 11'th I attended SCCA racers school at the Homestead-Miami Speedway. I drove Tom Rose's Mazda and had a GREAT time practicing road racing. 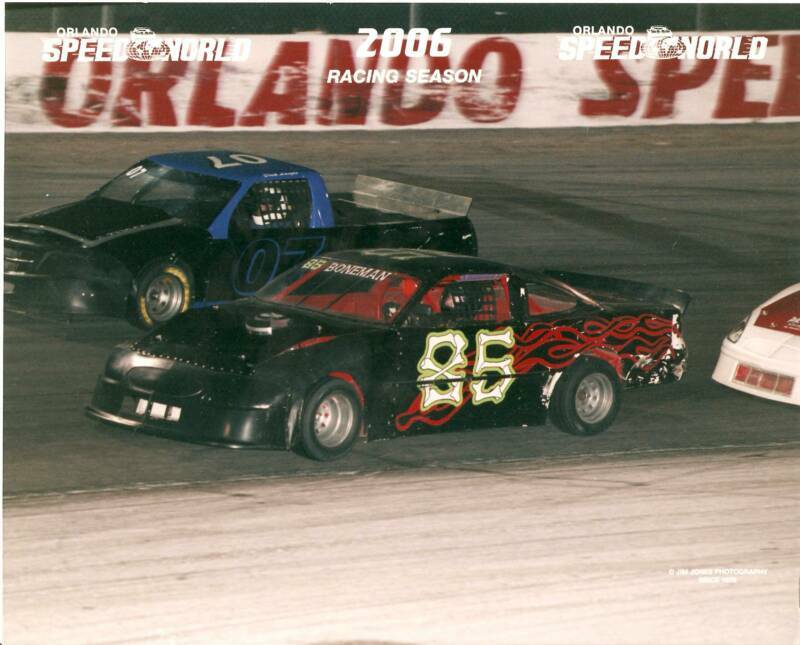 June 16'th at Orlando Speedworld. This was a forgetable night! No practice, no heat and no chance! I started 4'th and finished 7'th. June 23'rd. I won my first race in quite a while. It was a heat race, but I was glad to get it. 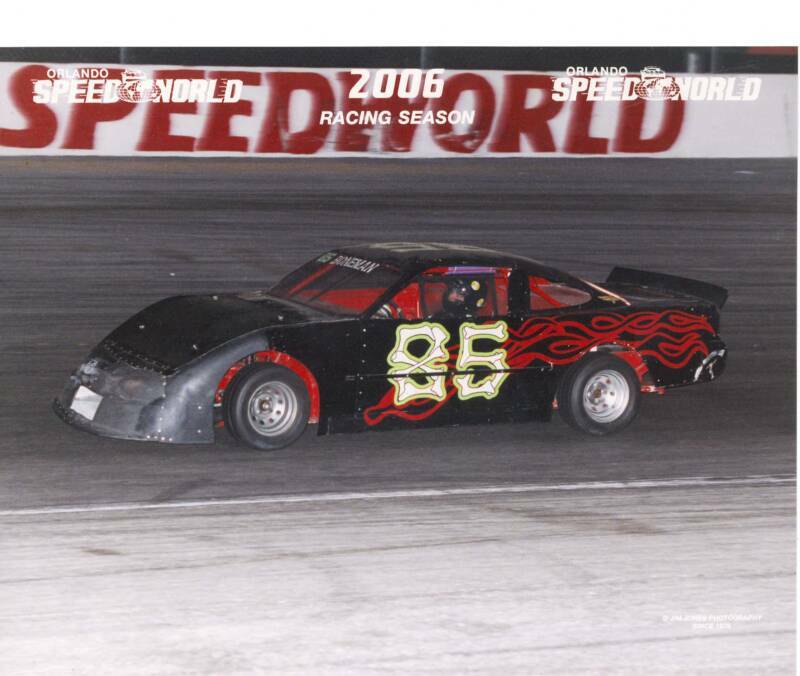 I ended up 5'th in the feature, but had a fun night. June 30'th, this was the WILDEST race I have been in for 10 years! 20 laps of chaos! I ended up 5'th out of 14. This was my third week of racing in a row, something I don't accomplish very often. July 28. A night to forget. After a running well in the heat, I knew I could win the feature. 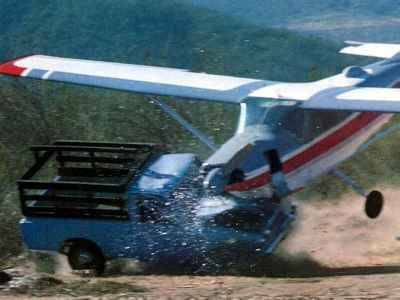 But this went down before the green flag! The front row cars tangled and I came plowing into my buddy Randy. 8 days later, I was back in action after the "Missileman" worked his magic and repaired the car in just a few days. 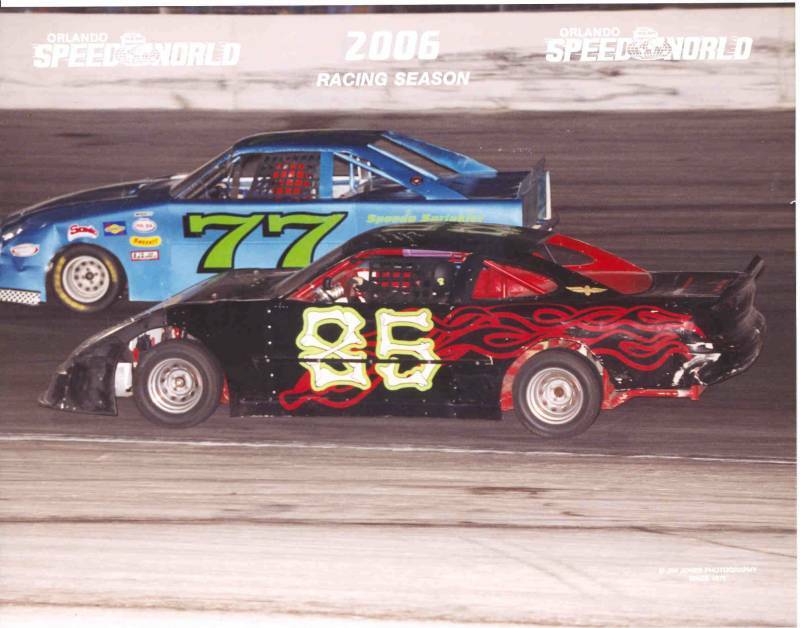 This was my first start at De Soto Speeway in almost 3 years. I ran at Orlando on Aug. 18 and finished 5'th. It was a fun night and everything came back in one piece. 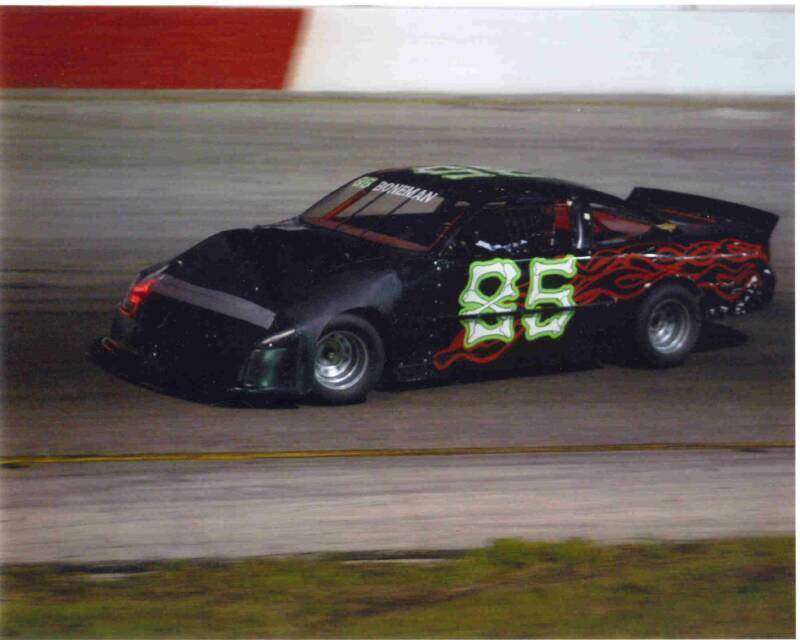 The next night, I went to New Smyrna to run their 50 lapper. The car count had been pretty bad, so I just went as a "field filler". 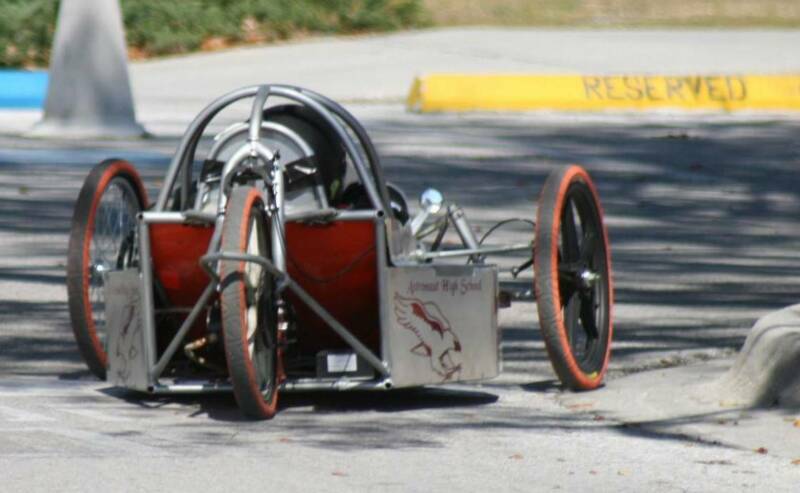 Last week, my car was fast, but I thought the motor was a little flat. During the week I made some tuning changes in hopes of picking up a little. I actually arrived on time (5 pm), but still missed practice! There was no heat either. On the pace lap, I knew I had screwed up by messing with the motor. It was such a dog. This was a race I could have won, but I ran 8'th. Lets discuss it no more. Sept. 29. Good news: I fixed the motor. 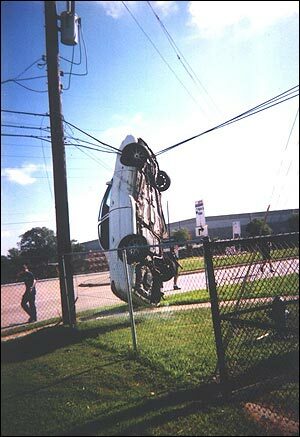 Bad news: my car handled terribly! I guess I am completely out of tires, I've only bought two all year. Lets just say my car was unpredictable...that means it would go crazy every few laps and slide like mad. I think I finished 6'th or 7'th. Oct. 6 More good news and more bad news. The good: I led the feature for a few laps and settled into second. That is where I would have finished, except a guy who followed my for 10 laps spun me out with 2 to go. I went to the back and ended up 7'th. Oct. 13 Another interesting night... I got wrecked in the heat race while going straight by the point leader. That made no sense, and it bent the rear end housing, an axle too, and destroyed a wheel and tire. 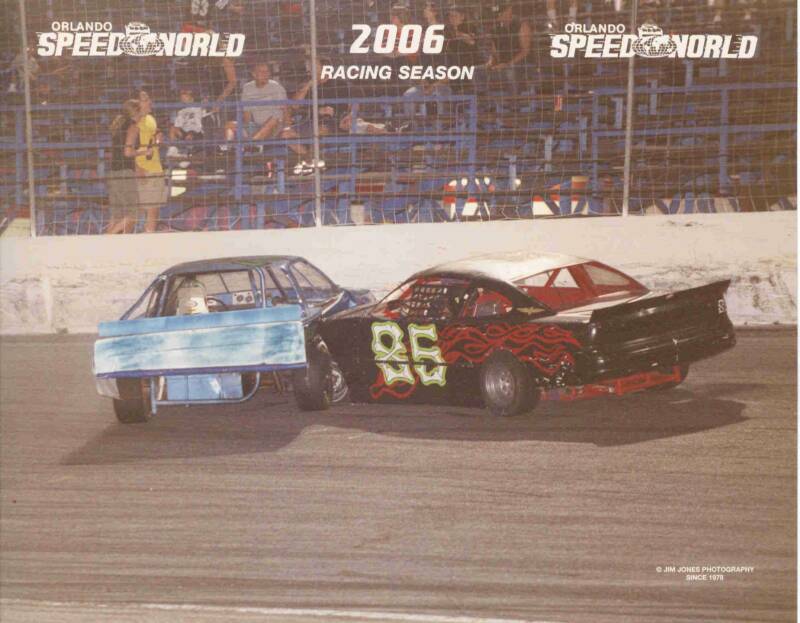 I was passing the leader in the feature, but he chopped me off and we began to tangle. I drove in the infield and was completely off the gas so he would correct, but he never did. After he spun, the starter wanted to put me in the back, so I pulled off in protest of that dumb call. Oct. 20 Woulda, coulda, shoulda. Tonight was a 20 lap feature only. I led it for 12 laps, but got passed fair and square. Nov 10 This was the last night of the year for my class. I had no practice, so I started last, but quickly moved to 4'th. Then another guy spun me out for no reason. So I am sitting there with a stalled engine, and I am watching the last place car drive through turns 1 and 2. I am thinking, "I bet this clown hits me.." Sure enough, he piles into my left front corner after I had sat there for several seconds!! So avoidable! What a way to end the year. Not that it matters, but I ended up 6'th in the season points. Nov. 18 Electrathon day! 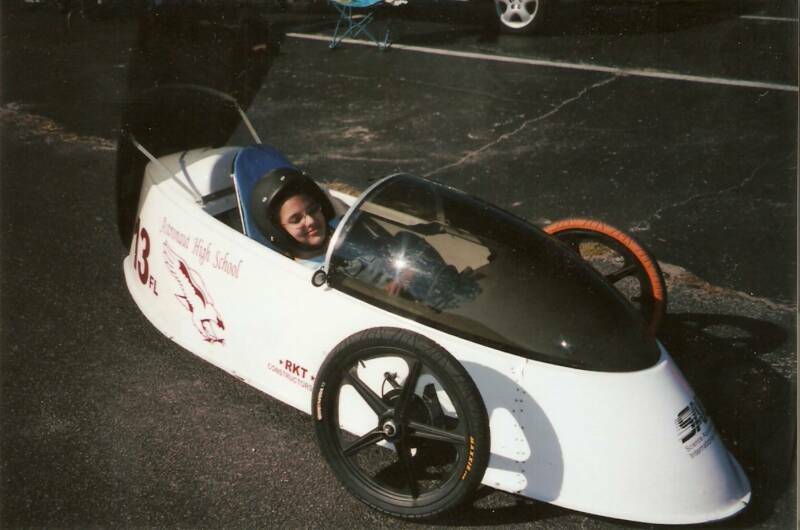 My daughter drove one of the Astronaut High School cars, and my partners Dana and Lance Barlow ran the first race for our new car. 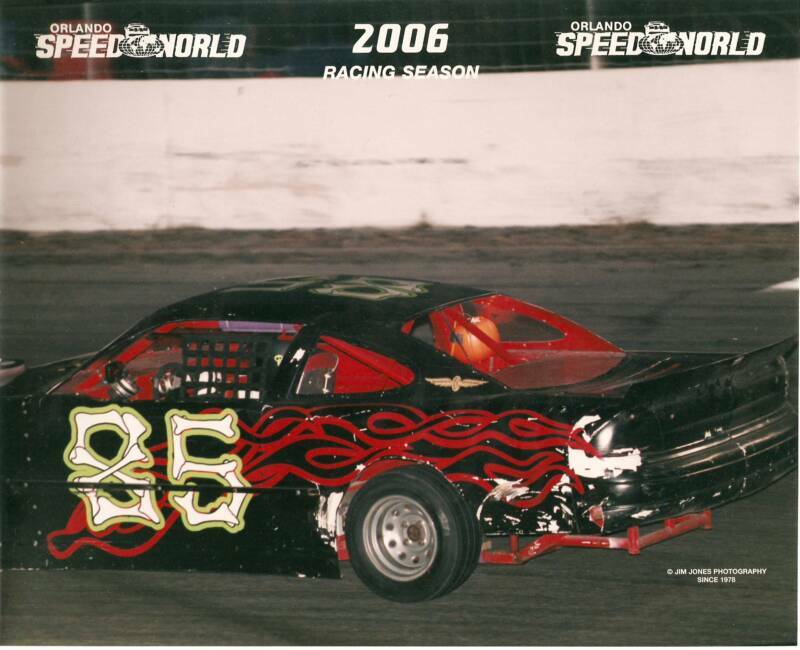 This was a great day: my daughter loved racing, and our new #85 won the second one hour feature with Lance driving! My birthday present! Patty, Robin and MIchael all came to see me race.